The biggest news at the moment in the entertainment industry has to be the Sony hacking, apparently as a result of the Seth Rogen and James Franco film ‘The Interview‘, in which they plan to assassinate North Korea’s Kim Jong – un. There are all sorts of problems with the hacking and the fact that theatres do not want to screen this movie due to the threats issued from the shadowy group ‘Guardians of Peace’ is a total game changer. Sony has subsequently pulled the film from general release. Rob Lowe‘s tweet yesterday highlights how bizarre this is all becoming. The associated issues for Sony loom large and the wider ramifications for the entertainment industry and business in general are mind-boggling. The White House has belatedly issued a statement that this is a ‘serious national security matter’. The hack will have significant financial implications for Sony and the staff must be miffed that personal details have been leaked. Plus the emails really paint an unflattering picture of show business in the upper echelons of the industry in addition to revealing that women are paid less than men. The hack uncovered that Amy Adams and Jennifer Lawrence were awarded seven percentage points for American Hustle, whereas their male counterparts Bradley Cooper and Christian Bale received nine. At this moment in time, surely Lawrence is just as bankable a star as the men (if not bigger) and no doubt makes bucket loads for the studios. Seriously in this day and age it is depressing that women are paid less than men for the same job. It still happens everywhere, across so many industries and occupations. It’s total BS. Anyway now that my rant is over, I’ll use that as a lead into one of the films currently on the Sony roster. The studio is shelling out serious dollars on Spectre, the next James Bond movie. Are you falling for the hype? I have to say I am feeling pretty confident that this will be another winner, not that I’ve read the early version of the script that’s been released by the hackers. Reports suggest that the script needs work and is currently a bit of a mess. Hopefully they will iron the wrinkles out along the way. Sam Mendes returns as director after the über successful Skyfall. The casting seems inspired. Christoph Waltz will no doubt make a seriously menacing villain, with the Italian beauty Monica Bellucci and French up and comer Lea Seydoux playing the iconic female roles. 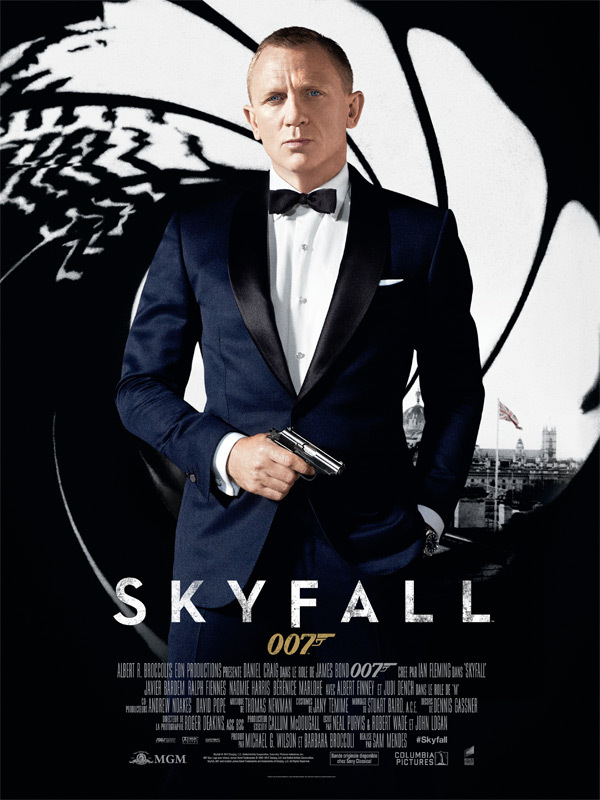 As is the norm for 007 films, exotic locations are central to a Bond movie and this time London (shooting now), Rome, Morocco and Austria feature. And let’s face it, Daniel Craig is easily the best Bond the franchise has seen. He brings a certain suaveness, a touch of danger and he’s good-looking but not in that chiselled to perfection all American style. He looks a bit rough around the edges but has the charm, brawn and a glimmer of intelligence that really manifests as a contemporary take on Bond. Wonder who’ll be doing the theme tune this time around? Roll on November 2015. Nice post! It’s pretty mind boggling I agree. It’s the rise of the ‘corpse state’ – where the corporations meet the state. Angelina will be reeling in bed with her chicken pox after today’s leak. I know it’s just seems to be getting worse (probably the chicken pox as well). Apparently Sony had lax security on their systems as well. Surprising. I like the phrase corpse state!